So lately I’ve been pretty quiet. I’m not even certain anyone still watches my site for updates. However ImCoKeMaN pinged me the other day about it so I figured I’d post an update! Lately all my time dissapears to an almost 2 year old and a 5 year old. However I have found time to tinker with Comma.ai’s Openpilot code. For those uninformed this is Goerge Hotz’s project to make self driving cars possible. Initial assessment: It’s AMAZINGLY good. Running it in my Lexus RX Hybrid. It’s easily on par with the best available. The only catch is you have to tinker/tune it for your cars yourself. Granted for a guy such as myself that’s a non starter. But for others it could prove more difficult. In general your car needs to support LKAS (Lane keep assist) and ACC (Adaptive cruise control). Most newer Honda and Toyota vehicles seem to include these standard and potentially other OEM’s also. In my case the camera in a Lexus RX needed to be closes to the driver than expected in the little cars they tested in. As a result the camera_offset needed to be adjusted to compensate and keep the car centered in the lane. After doing that it runs great and for the most part feels like the car is on rails. Amazingly better than the OEM LKAS. Longitudinal control is arguably about the same. For now. Future enhancements seem to promise vast changes on that however. After reading lots on this I figured I should at least make a quick blog entry for people to be able to find. It appears there is not a lot of support out there for our tablet and with Lenovo switching to a 64-bit version for the newer tablets these are essentially being forgotten about. Of course I titled this for my intent, dual-booting, however you could also choose to remove Windows 8 entirely and make the device linux only. You CAN get Ubuntu to boot on them, you just need a little extra work to prepare your image. First off, get yourself an ubuntu iso from their website. I used ubuntu-14.10-desktop-amd64.iso in the following example. Enjoy, I might create another post as I work on getting the hardware fully working. Now to try and find the section the factory override uses to open up full control! I purchased a used Lexus not terribly long ago with Factory navigation. I also had a Mitsubishi which had it. And both apparently used the same Navigation software, done by Denso. The lockouts and nag screen have finally pushed me to the edge of starting to dig into the mechanisms by which these work. I will update this posting with new details as I find them, so feel free to watch this post if interested. First off I did my due diligence and Googled around. There have been a few hacks on this over the years, but no major advancements into how it works that are openly disclosed. On the Misubishi front the most successful of these attempts actually accomplishes all my objective goals, however the author sells his exploit and thus I suspect I might not get much information from him. Regardless I have sent an email requesting some pushes in the right direction. 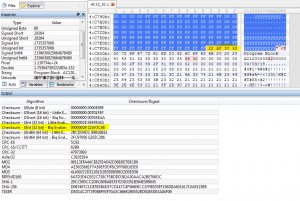 The primary target file which these units use is the file “loading.kwi” which appears to contain firmware for the hardware of the various cars. In most cases this file seems to include multiple similar firmware modules (embedded) for slightly different hardware that would utilize the same Nav DVD. I’ve found the original python script by Bert (http://biot.com/blog/navigation-dvd-hacking) and with a small bug fix it properly parses these newer files. This of course indicates the hybrid discs (Google if you don’t understand what this is) for release 12.1 are just as effective as the 10.1. I’d be curious about testing previous releases of loading.kwi if anyone has them to split into these files. I wonder when the changes (if any) actually occured. 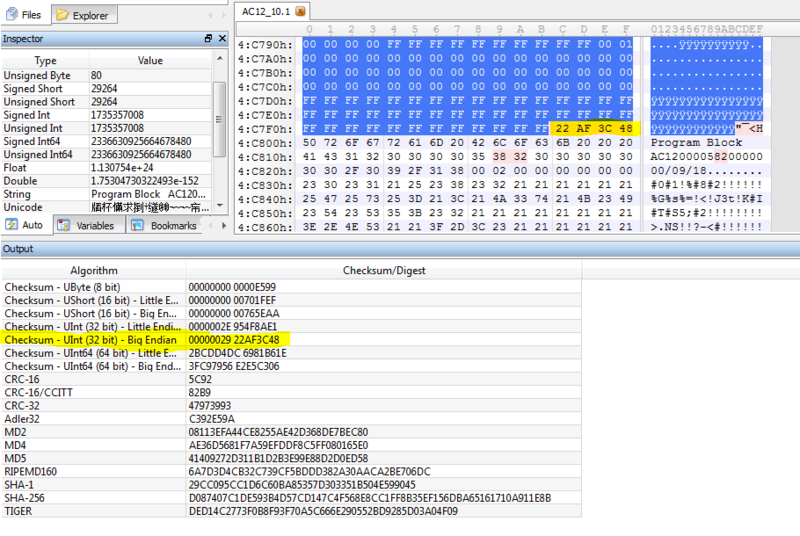 Next up is looking for the loading address and entry points to load this up in IDA and start working out what is what. In addition I’ve seen references to indicate the firmware files are most likely checksum’d or hashed so that the Nav can validate the software. I’ll have to perform some tests to confirm. So I finally picked up a Windows tablet to try one out. I refused to even consider a RT device as what good is a windows computer that can’t run backwards compatible windows applications without source to port to a new cpu!? As a result I got a Acer W510 32gb tablet with Windows 8 full version. I can’t fault the hardware, the tablet is decent and runs quite quickly. The software however is another story. Yes it’s true, this is a real windows computer that can essentially run any windows app ever. However the tablet functionality is horrid at best. Even with the start menu and windows tablet native apps it’s just a horrible experience compared to any other tablet I’ve ever used. I have to honestly wonder, did Microsoft developers on this project ever actually USE a iPad or Android tablet? The usefulness is just terrible. From buggy and glitchy software scrolling to almost nagging procedures needed to accomplish basic tasks for a tablet this is just less useful as a tablet while being more useful as a notebook. If only it had a keyboard. Essentially I would rate this as a excellent travel computer if you plan to use a dock and keyboard and mouse. If you need a tablet, look elsewhere and you’ll be much happier. So before I get started on my rant I’m sure someone will argue “Why not just buy MP3’s?” Honestly, because I CARE about sound quality and I want the lossless music a CD would have. So for the Toyota Highlander I bought a few months back my wife wanted a navigation system. We agreed that OEM would be best but toyota pretty much doesn’t even offer the stereo as a supported upgrade once a car is delivered and piecing together a system was going to cost me over $3000 it appeared. So I looked into other options to keep the OEM look. It came down to known chinese units on eBay that ran $500 to $800 or this other 3rd party companies product “Rosen”. Rosen appeared to be better (if solely due to marketing) as it integrated with the factory steering wheel controls and amp etc. I decided I’d buy the unit (DSTY0830H11) and ordered from the lowest price vendor I could find (toolfetch). All in all it was a little over $1000 to get a OEM look navigation system. If only I knew then what I know now. The system “ok” if you really just want a CD/DVD player with Nav and radio. The software is nothing well done for those options but not terrible either. However if you want to use MP3 playback, oh man it gets bad! Apparently the software allows only up to 2gb non-sdhc microsd cards and if you have a bunch of folders of music… Well… It plays tracks one at a time, in alphabetical order. You can’t choose tracks in anyway shape or form other than choosing next or previous tracks. When you finish the LAST song in a folder you get a menu to choose a new folder. Once that’s done you have no way to choose again until you finish THAT folder too. Needless to say this is un-usable and I decided to look into what could be done. Upgrading the stereo appears to be offered only if you send the system in and there is no way to tell if they might have better software now or not. Upon thinking about the poor functionality in the software it becomes quite obvious the system IS a $500 chinese player that’s been tooled up to have a really nice install and integration. So knowing this I would have preferred to get the cheap one to start and work on software. Since I already have this we’re going to have to modify it. The system appears to have 2 distinct sides. The GPS/WinCE side (with 1 SDHC enabled slot), and a Radio/DVD side (with DVD, bluetooth, radio, and 1 non-sdhc slot) which I currently know little about. The SD card has the map software on it. Looking briefly into how it works we can see it’s got iGo 2006 software and calls it via a maplaunch.ini file specifying \nng\nngnavi.exe to run. With a quick attempt at tossing in total commander’s .exe as this file we get into total commander for wince and can launch up explorer. We now can see we are actually running WinCE 5.0 with 100mb ram. I intend to later test if we can run mp3’s from the wince enviroment and possibly find some better software like TomTom etc. From the explorer I can see there is a second memory slot/unit of some kind called Nand Flash2 which appears to have nothing in it. I will have to spend some time looking into the options from here and will post back when I find something more. So I got a little bored with Android lately and decided to play with a iPhone 4 on verizon since I haven’t seen it yet. First impressions, I liked it, though it’s quite small. Thats not really a problem, I’m just ready for a 4 or 4.3″ screen since I’ve had a 3.7 for over a year now. So recently it appears Trend Micro has rated this website as “hacking” which I don’t argue with. And a sub-rating of “dangerous” thus blocking it in their AV program. This is needless to say quite annoying. Lets see. Have we ever in the history of this site tried to trick and/or hack a user? No. We provide information only. And recently not much is even active hacks! It seems to me if you want a good AV that actually looks into the information they are trying to protect/block then you should stay away from Trend Micro. Any recommendations on “good” products which do their research first? What year is it anyway?